Postmodern architecture - with its return to ornamentality, historical quotation, and low-culture kitsch - has long been seen as a critical and popular anodyne to the worst aspects of modernist architecture: glass boxes built in urban locales as so many interchangeable, generic anti-architectural cubes and slabs. This book extends this debate beyond the modernist/postmodernist rivalry to situate postmodernism as an already superseded concept that has been upended by deconstructionist and virtual architecture as well as the continued turn toward the use of theming in much new public and corporate space. It investigates architecture on the margins of postmodernism -- those places where both architecture and postmodernism begin to break down and to reveal new forms and new relationships. The book examines in detail not only a wide range of architectural phenomena such as theme parks, casinos, specific modernist and postmodernist buildings, but also interrogates architecture in relation to identity, specifically Native American and gay male identities, as they are reflected in new notions of the built environment. 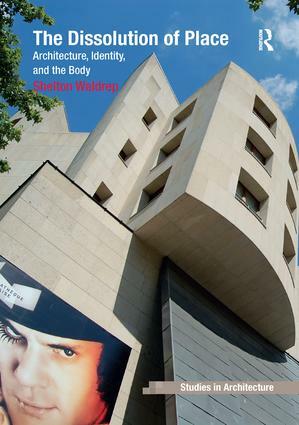 In dealing specifically with the intersection between postmodern architecture and virtual and filmic definitions of space, as well as with theming, and gender and racial identities, this book provides provides ground-breaking insights not only into postmodern architecture, but into spatial thinking in general. Contents: Preface: letter from Portland, Maine; Introduction; The architectonics of post/modernist space; The global theme park: Disney in the world; The architecture of time: postmodern casinos in Las Vegas; In Her Majesty’s secret closet: Bond’s body; Reverse empire: architecture in Native American casinos; Philip Johnson and the architecture of the body; Bodies in space: architecture and the films of Stanley Kubrick; Coda: virtual communities; Bibliography; Index. Shelton Waldrep is Professor of English at the University of Southern Maine, USA.